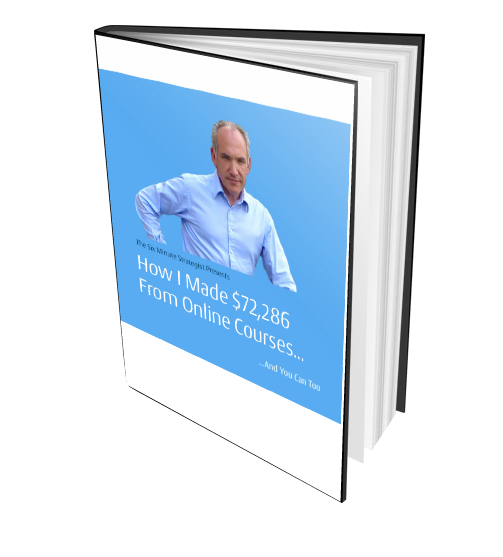 Creating a digital product for your Online Business for the first time can be daunting – my first course took me over six months to create but then no body was helping me! There are two parts to the product creation process. The first is getting the technology – software and hardware – right. Then you actually have to make the thing! Lets take a look at the equipment you will need and the good news is that you don’t need to spend a fortune, particularly if you already have a half reasonable computer. I would also recommend you have a system for backing up your files which can be a separate hard drive or a cloud solution. Don’t ever get caught out by not having a back up. What have you missed out? Try to use your keywords in your lecture titles, descriptions and in the Sections too! Consider including an “Introduce yourself” lecture for your second lecture. This should encourage new students to leave a discussion comment saying who they are, where they come from, what they do and what they hope to get from the course. You should also try to get them to explain their biggest challenge – great for getting new content ideas for your course. Activities and Quizzes to increase student engagement. When you create your first digital product, do not assume that it is going to be your last. It will really help you in the future if you can record the steps you take when you create your product – in a bulleted list or in a mind map. What you want to do is to create systems which are going to make your production process faster and more efficient in the future. Keep detailed notes and links to your folders and published material so that you can cross link and access material quickly. This will also become important if you ever expand to a team or employ a Virtual Assistant to help you with your business. Systems make everything simpler. Use tools like Evernote to keep detailed notes of your process and your material. Use tools like Zapier and ITTT (If This Then That) to automate your processes, funnels and sales in your business.